I just recently purchased a 1999 Kioti LB1914 tractor with a 3 cylinder diesel engine (the motor had a cracked cylinder head). While fixing the cracked head they noticed the intake valve was bad. I ordered a new valve according to the serial number of the tractor, but it turned out to be the wrong valve, it appears that Kioti used more than one intake valves in the older motors. We have looked and can't find a dealer that has intake valves for this engine. Does anyone know where I could purchase a new or used valve for My 1999 Kioti LB1914 tractor? 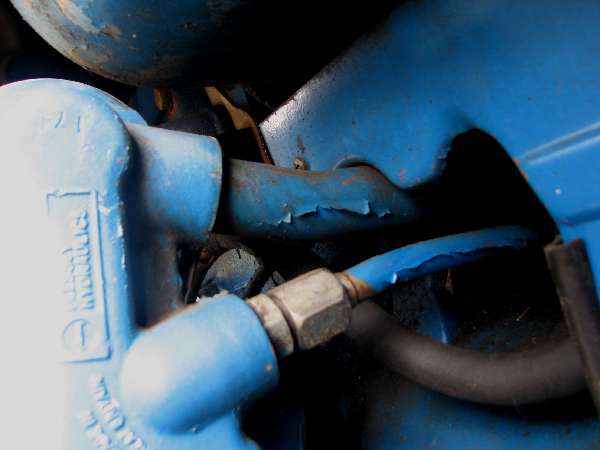 Is it possible that a valve from a Kubota tractor work? Thanks in advance for your feed back. My experience with the parts and service people at KIOTI is they don't know which way is up and you have to treat them like ignorant children. They probably just sent you the wrong part and don't want to admit it. To be absolutely sure about the part, mike a good old one before you order and compare it to the bad one. You never know what has been done inside the head cover. There are now about half a dozen websites showing the workshop manual and the appropriate tolerances are listed in the manual. At some point Daedong will wake up to the realization that they are killing their North American market potential with their "black box" approach to replacement parts and repairs . My last go round Kioti.com initially wanted me to spend over $2,000 on something that cost me $40 to fix. This, on the idea that I wouldn't know about leaky seals and that they can be fixed for next to nothing. Good luck, - looks like Michigan Iron may be your best bet for parts down there. What? What? A good Kioti dealer? May I ask where you're located? West Coast. - He started in parts with GM a long time before he moved on to work for himself. He didn't start with Kioti until quite late. The group that took over the bulk of the business were equally good when I went out to talk to them, but they have other lines as well so they too understand customer service. That tractor was a combination of old Kubota models L-series and B-series. To look at the dash and you will see an old Kubota L-series the same for the hood fasteners for the obvious. Take your engine size and find the same size Kubota and you probably will find a valve to fit. Will be the best part of the tractor!